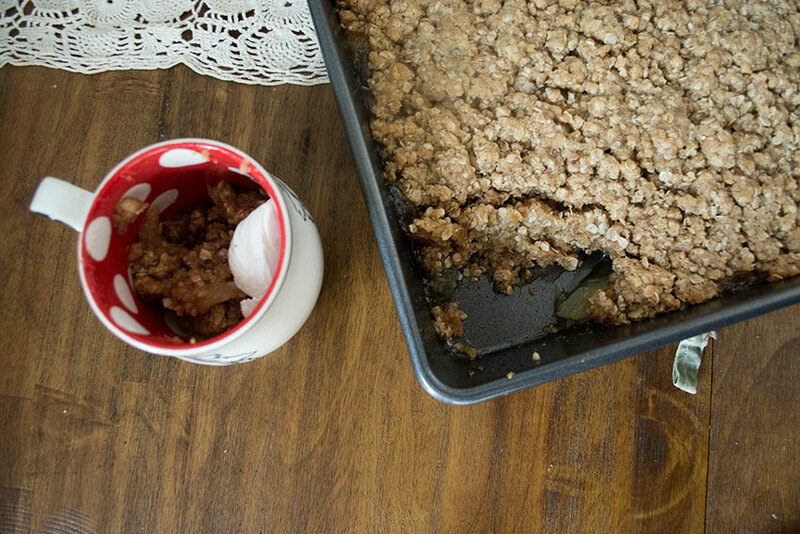 I first tried making this apple crisp while I was in college for a thanksgiving dinner my dorm floor was having. Boy oh boy did it not turn out. No matter how long I cooked it, it never seemed done. Now that I think of it, that might have been when the oven stopped working, though I didn’t realize it at the time. At first I thought it was one of those recipes that I couldn’t bake, much like ‘Sassy Cinnamon Muffins. Then it could have been apple crisp. Thankfully that wasn’t the case. 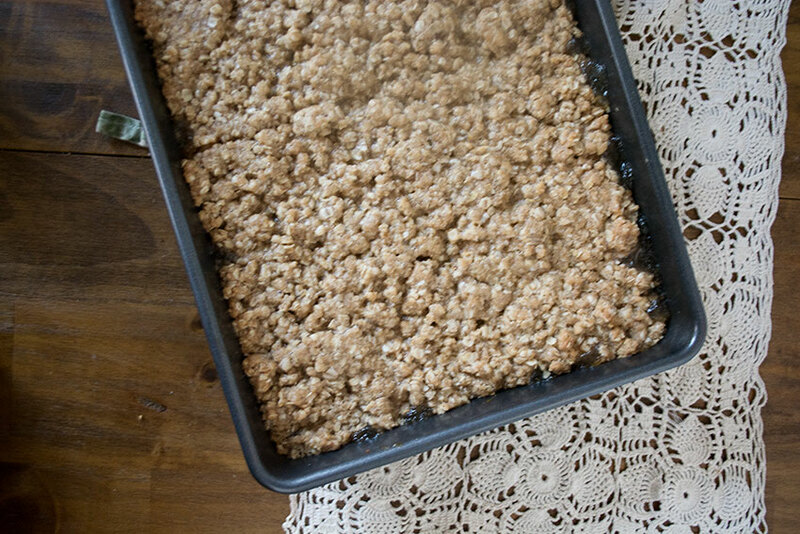 The recipe for the topping was written for double the amount, so you could easily half the whole recipe and use a square cake pan instead if you feel so inclined. 2 cans of apple pie filling or double your favorite apple pie recipe. 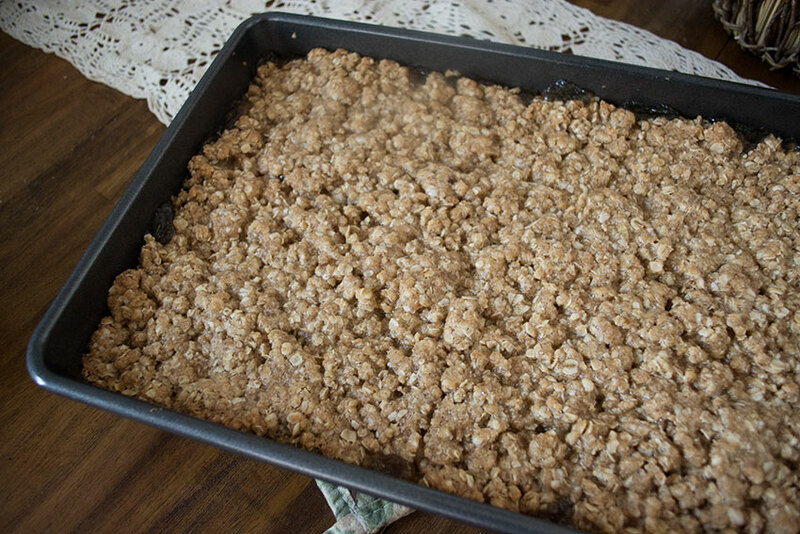 Spread apple pie filling evenly across the bottom of a 9×13 cake pan. Sprinkle on some cinnamon for good measure. Mix together your dry ingredients, melt the butter, and stir it all together. You might have to get in there with your hands to make sure it’s completely mixed if you like. 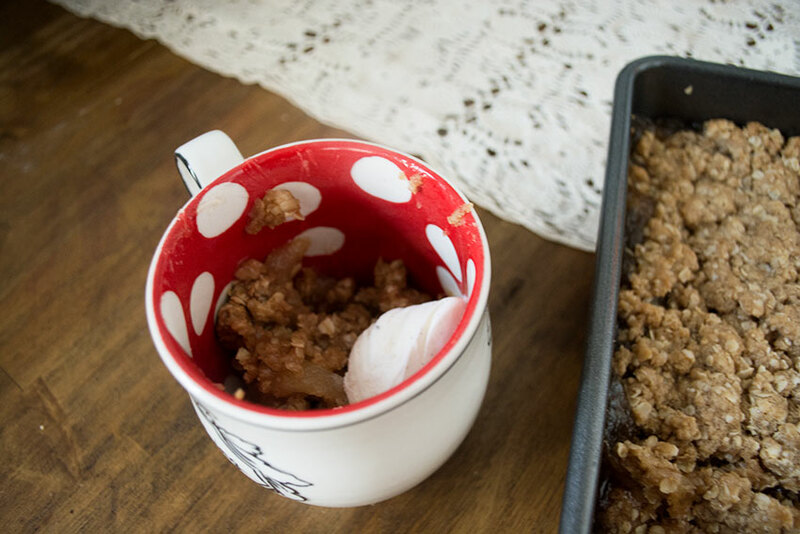 Spoon it evenly over the apple pie filling, making sure you fill the edges first and work your way in. Bake in a 375 degree oven for 30 minutes. Wait for about 5 minutes to cool and serve with vanilla ice cream. Yum! 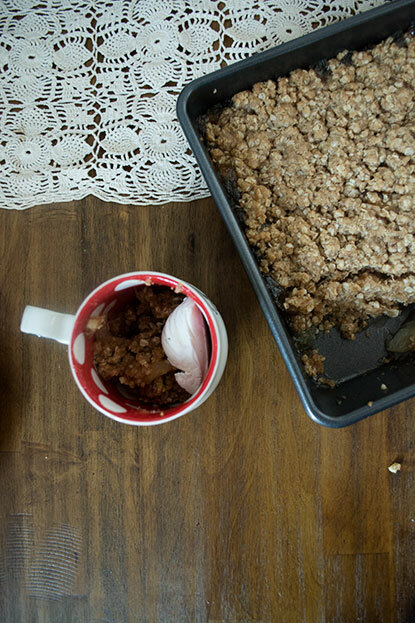 I LOVE this recipe and now, after reading and seeing the pictures…I REALLY want some Apple Crisp! !